Based on reviews from 246,566 users. 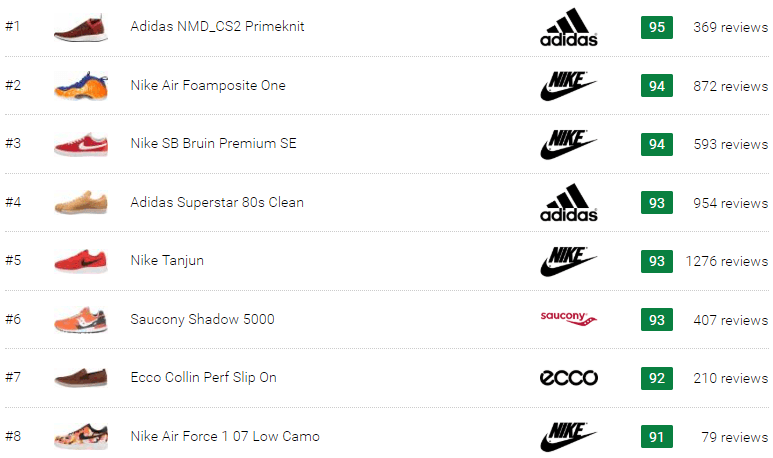 Learn how our rankings work or see our guide to orange sneakers. Updated Apr 2019. One of the interesting colors to style up is orange. The characteristic of this color sometimes gives the buyer some hesitations of owning any footwear or apparel products as it may not really fit them or with their style. Thus, not everyone has their own pair of orange sneakers as some may simply just do not like the shade of the color itself, and some may only not have found the right pair, the right tone, or the right style for them. Orange sneakers are not that common in one’s sneaker collections before, but as years went by and fashion trends continue to evolve, orange colorways for shoes have become one of the sought-after looks for a sneaker. Casual orange shoes have now become one of the favorites of many people, especially the younger generations. The vibrant hue of orange shoes gives a good accent to their style and helps make their look pop up and attracts attention. As a celebration of the brand’s “Just Do It” Campaign’s 30th anniversary, the Nike Air Max 1 Premium Just Do It presents an upgraded design of its traditional low-top profile and lace-up closure system. As a part of the Nike’s Just Do It Pack, the silhouette displays the iconic Just Do It logo all over its upper and comes in two colorways with one shows a combination of orange, black, and white. The sleek appearance of this classic silhouette took inspiration from the high-speed bullet train. This stripped down version of the iconic AM97 exhibits a contemporary street look through its “sporty arcs of layered patterns,” as well as its texture and its clean finish. A combination of colors of total orange, Sequoia, and olive cover the entirety of the design of this sneaker which is among its many colorways. This low-top shoe provides a lightweight and comfortable feeling for the wearer and a quite responsive cushioning system. 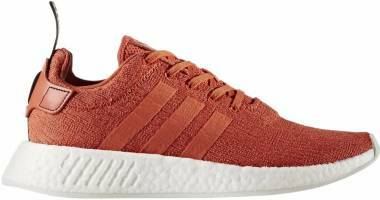 A flawless combination of the brand’s reputable heritage and its innovative technologies, the Adidas NMD_R1 Primeknit delivers “progressive, premium, and pioneering” characteristics. 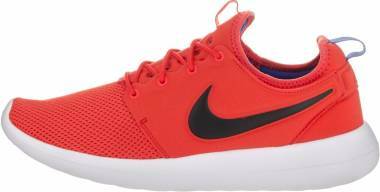 This low-top silhouette comes in an all-orange upper Primeknit upper that gives a flexible and adaptive trait. 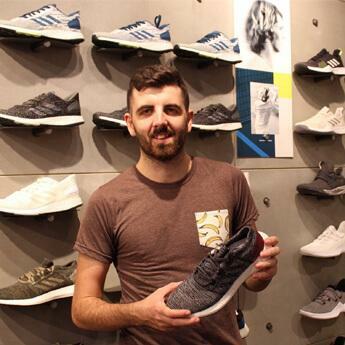 It is complemented with the white Boost midsole that delivers a super-soft and responsive cushioning. One of the brand’s iconic silhouettes, the Stan Smith from Adidas transitioned successfully from being a sports shoe into a fashion icon. The Stan Smith has built a solid reputation in the sneaker industry, and it has become an essential factor of many people’s wardrobe. Many color combinations are offered for this classic low-top shoe and among them is the eye-catching combination of trace orange and collegiate green. A modern makeover that was given to a 90’s classic, the Adidas EQT Support ADV Summer exhibits a sleek knit upper. These low-top orange shoes are equipped for the hot weather condition as it features the cool-touch yarn and the Outlast sock liner. The Serrano from Onitsuka was inspired by the track spikes of the 1970, and it ignited the beginning of the “champion sport shoes.” It also delivers the brand’s traditional racing customs through its structure. 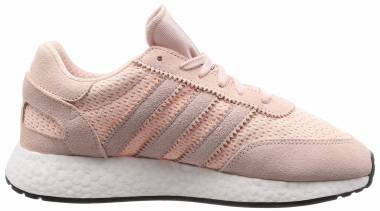 Pulled out from the brand’s archives, Adidas presents the Adidas I-5923 which showcases a balanced combination of traditional running shoes and up-to-date materials. 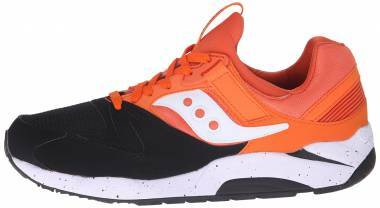 This low-top shoe that also comes in an orange colorway exhibits a design that pays homage to its roots yet conveys exceptional modern comfort. A silhouette that flaunts quite a stylish appeal, the Reebok Freestyle Hi keeps the wearer to stay on-trend. Its high-top profile adds more impact to its appeal, and with one of its colorways coming in orange, the sneaker displays an eye-catching appearance. This high-top sneaker that comes in the rich heritage line of the iconic Chuck Taylor All Stars, the Converse Chuck 70 Floral Leather High Top displays the design structure of the Chuck 70 with the addition of the wild floral embroidery across its upper. Presenting a “throwback” style, the Converse One Star Vintage Suede Low Top is given a premium touch that adds more impact to its timeless appeal. The classic silhouette was given the modern update and presents the camo print detailing on its new look. A classic silhouette that keeps the wearer in style, the low-top Vans Checkerboard Slip-On displays its iconic checkerboard design that also in various colorways such as the combination of white and orange. What is with orange sneakers that people want to own a pair? The attractive appearance of the color orange which is conveyed through its vibrant and energetic appeal lures the attention of buyers, especially the younger ones. Most people represent themselves through the colors of clothes they are wearing, and there are those who express themselves through the pair of kicks the put on their feet. Thus, colorways sometimes play a vital role for a wearer’s self-expression. Orange shoes bring out the active, enthusiastic, and adventurous side of the wearer that enables them to have fun and be youthful. The boldness of the color never fails to catch attention in which adds impact to the wearer’s whole appeal and style. Orange shoes also deliver versatility that allows the wearer to wear them to either casual or semi-formal events. How to style bright orange shoes? Usually, the best thing to do when styling bright orange sneakers is to wear a dark outfit to make these kicks pop-up and focus the attention on them. Wearing white or black may also be the safest way to rock one’s pair of neon orange shoes. What outfit ideas can one wear with orange sneakers? Some may find orange sneakers a little bit difficult to find the right outfit to go them with. Thus, most try to find some help for them to get outfit ideas that would go well with their pair of orange sneakers. Picking the appropriate attire to wear with orange sneakers may also vary on the shade of its colorway, the combination of colors on its colorway, as well as its design profile. If one is going to attend formal events and want to rock their orange shoes during the occasions to stay in style, grey or beige suits will work well with their orange kicks. Do neon orange casual sneakers get dirty quickly? It mostly depends on the materials used for the shoe’s construction if they easily get dirty. Some materials used for shoes don’t really attract dirt that fast or don’t hold any dirt on them for a long time. But since neon orange sneakers display a bright and vibrant color, it will be better for one to be careful enough to keep their shoes from getting dirty. Which orange shoes colorways do most people get more attracted to? The attraction of the buyers on lifestyle orange sneakers may depend on which color combination they prefer. Some people like their pair to be all covered in orange. 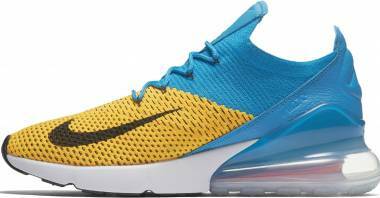 There may also be some that love some other colors to be thrown into the shoe colorways, presenting an attractive set of color combinations. There are also those whose attentions are quickly acquired by neon orange sneakers. Can women grab a pair of men’s orange sneakers and vice versa? Yes, they can. If a shoe is only offered in men’s sizing regardless of it being unisex or not, women may grab a pair if they wanted to. They just have to reduce 1.5 to 2 from the men’s sizing to accommodate their own foot size. Adjusting the sizing goes the same for men who want to get a pair of women’s orange sneakers. Men must go up 1.5 to 2 from the women’s sizes to get their right fit and sizing from the women’s sneakers collection. What are the common orange colorways for sneakers? Casual orange sneakers may come in different combinations of orange and other colors. 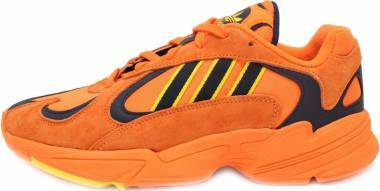 There are also instances that some of these shoes only display an all-orange appearance. Common ones that exhibit two or more colors combined with orange are the black and orange sneakers, and there are also the white and orange shoes. 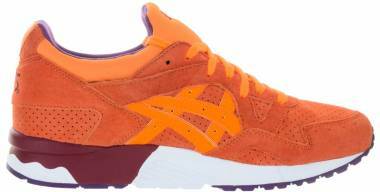 These colorways also include the burnt orange shoes and the neon orange sneakers. 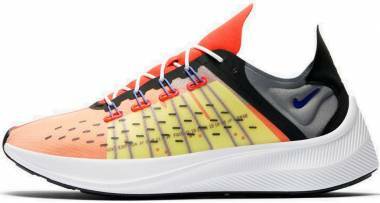 What price range do orange lifestyle shoes commonly fall in? 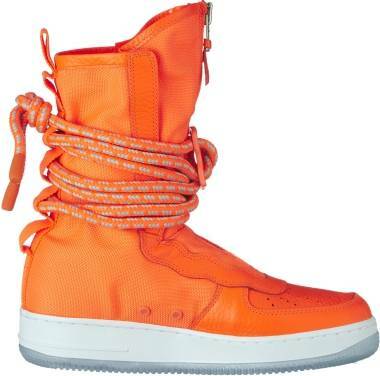 The pricing of casual orange shoes may vary on the materials used for its design construction, style, or whether if it is a limited or special edition, or if it is part of a hyped collaborative release. 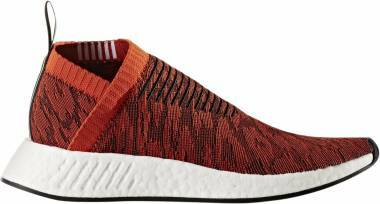 Prices for these sneakers that come in orange colorways may be offered in budget-friendly price points which usually start around $50. Expensive ones may present a price tag that starts from $200. How to clean orange sneakers? Cleaning one’s pair of shoes doesn’t really vary on its color but mostly on its material. The materials used on the shoe’s construction may require some specific cleaning tools or cleaning procedures. Removing the excess dirt off the shoe first is the best way to avoid staining around it. One may use a toothbrush (preferably soft-bristled) to scrub off the dirt on the outsole gently. Other materials that can be used to be able to clean the shoe thoroughly are small paintbrushes, phone cleaning kits, or screwdrivers. Water with detergent suds works well, but the temperature of the water may vary on the material used on the shoe’s construction. One may also use some mild cleanser or soap as there can be instances that strong detergent may affect the colorway of the shoe. Giving the shoe a sponge bath is also an effective way to clean sneakers. With a sponge, a washcloth, or a microfiber cloth, the dirty parts of the shoe must be scrubbed lightly. If possible, avoid using too much liquid to keep the shoe from getting too wet. Rinse the sponge after with warm water then wipe it on the shoe to remove the soap. After washing a dirty pair of shoes, it is ideal to air dry the shoe. One may also throw their shoe in the dryer if its material enables them to. Every color expresses its own meaning and its own personality. Most have both positive and negative representation of its characteristic. Wearing a certain color can also sometimes say something about the wearer’s personality and attitude. In this case, it is orange that people may want to learn about what it says when they wear the color. So, what does orange represent? Orange is the combination of red and yellow in which these two colors usually expresses energy, happiness, and warmth. As with what its root colors define, orange inherits these characteristics and also symbolizes the feeling of excitement and enthusiasm. This color also is commonly used for attracting attention with its bold and vibrant traits. With its energetic appeal, orange is one of the colors that are commonly used for sports in which most teams present it on their uniforms, their branding or logo, and even their mascots. Orange represents the sense of adventure as well as being a risk-taker. All these qualities that this color represents may also be how buyers interpret the appeal of orange sneakers. Thus, many of them want to own a pair of sneakers with orange colorways.